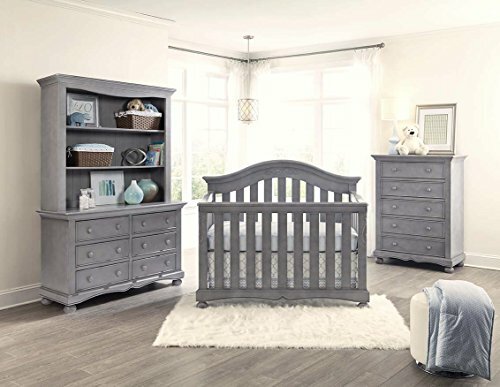 The Meadowdale Hutch/Convertible Bookcase continues the theme of the Meadowdale collection, matching the lines on the crib and double dresser. A large conventional hutch for holding changing supplies above the double dresser. Adds valuable storage space above the surface of the double dresser. Converts to a free standing bookcase for all the child’s needs as they grow. Sturdy traditional furniture construction. 52.75w x 44.75″h x 14″d. Cloud finish. 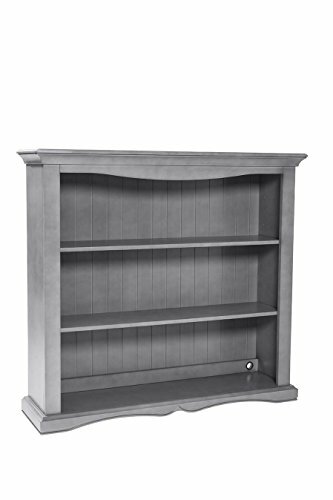 Buy Westwood Design Meadowdale Hutch/Bookcase, Cloud at Discounted Prices ✓ FREE DELIVERY possible on eligible purchases. The Meadowdale Hutch/Convertible Bookcase continues the theme of the Meadowdale collection, matching the lines on the crib and double dresser. A large conventional hutch for holding changing supplies above the double dresser. Adds valuable storage space above the surface of the double dresser. Converts to a free standing bookcase for all the child's needs as they grow. Sturdy traditional furniture construction. 52.75w x 44.75″h x 14″d. Cloud finish.